Our Abpromise guarantee covers the use of ab90285 in the following tested applications. Shown to be non reactive for HbsAG, anti-HCV, anti-HBc, and negative for anti-HIV 1 and 2 by FDA approved tests. Protein Determination: Extinction Coefficient (E) 0.1% at 280nm =1.46. The IgG fc fragment does not bind antigen; however, it does contain the classic antigenic determinants and biological activity with respect to cytotrophic reactions, binding of complement and catabolic rate control. The Fc region is the constant region on an immunoglobulin molecule, the area that is exactly the same on all antibodies. The Fc region is found on the heavy chains and is not involved in binding antigens. 4-12% Bis-Tris NuPAGE Gel analysis of ab90285. Lanes 1-3 show 5, 10 and 15 μg, respectively; run under heated/reducing conditions. Lanes 4-6 show 5, 10 and 15 μg, respectively; not heated/non-reducing conditions. Publishing research using ab90285? Please let us know so that we can cite the reference in this datasheet. My question was whether the Fc fragments were received from a pool of polyclonal or monoclonal antibodies. We prepare IgG, FC Fragment from polyclonal IgG. The FC fragment of IgG contains a glycosylation site. Do you de-glycosylate (remove the carboxyl group) or know what the glycyosylation status is? We do not know the glycosylation status of the IgG FC fragment as we do not test for this as part of our final QC analysis. We do not actively attempt to deglycosylate the FC as part of the purification procedure. I am including a general description of the purification protocol to support that we do not believe that the procedure actively deglycosylated the FC. The whole molecule IgG is purified by ART using ammonium sulfate precipitation, and ion exchange chromatography. Protein A chromatography is not used for the purification of IgG. 1. Digestion of whole molecule IgG with papain. I have been working with one of your proteins (Human IgG Fc fragment protein; Ref. ab90285) for a while now and was wondering if you could provide me with more detailed information regarding the structure of your protein please? I did refer to the product datasheet but I would be very grateful for more details if possible. Unfortunately, we do not have information on the structure of the protein. 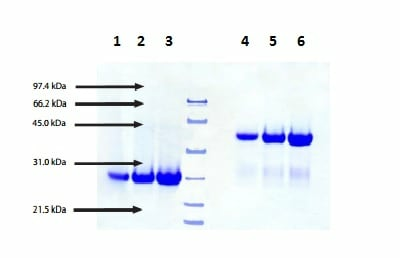 This customer raised an enquire about ab90285 (Human IgG FC fragment protein (Human)), she would like to ask for your help to know the approximate concentration range of this antibody, could you please help this customer to solve the problem? For the recent batch we sell, ab90285 lot# GR90653 is 2.1 mg/ml. Would the new product you could provide be a more appropriate control or less expensive? I am confident that the reference ab90285 is a suitable negative control for ab108557. Furthermore, I have just been informed about the price of the new Fc fragments which is $424.00 for 100µg, therefore I would recommend to keep using the much cheaper Fc fragments reference ab90285, $269.00 for 1mg. can use for cell culture as control? The lab let me know that they have not measured the endotoxin levels for this product. Also, they do not know whether or not it could be used a s a control in cell culture. Please let me know if you would like to receive a testing discount code for trying the protein in cell culture. I’m wondering how sensitive the immunoelectrophoresis is to see residual contamination of Fab if there is any, can you detect 1% contamination from this technique? While we don't have an exact figure for how sensitive the immunoelectrophoresis is, we do not believe the protein will contain 1% contamination with F(ab). I hope this helps, please let me know if you need any other information. Has this IgG Fc fragment protein been checked for contamination with F(ab) fragments? Do you have any other Fc fragment proteins with higher purity than 95%? This Fc fragment protein shows no reaction to F(ab) on immunoelectrophoresis. We will guarantee this product to be free from F(ab) fragment contamination. Unfortunately, we do not currently have any other purified human IgG Fc fragment proteins in our catalog. I hope this helps, please let me know ifyou need any additional information. Is this a fragment of an IgG1 antibody subclass? We prepare ab90285 from human plasma having a mixture of IgG1, IgG2, IgG3 and IgG4. After digestion and purification, the final product should similarly be a mixture of the Fc regions for the four subclasses.